Dan Cole is a partner in the digital, technology and analytics and insurance practices, based in London. He has spent 18+ years in technology advisory and focuses on aligning technology with business strategy and regulatory needs for large financial services organisations. 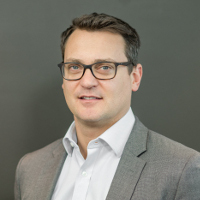 Cole has worked across a range of technology-related business challenges within insurance and financial services more broadly, supporting from technology and digital strategy development, through to execution support and delivery of new and innovative propositions. He holds a first-class honours degree in electronics & communications from Bristol University.